Once again, as usual, Hito Technical Industries has been participating as an exhibitor at the prestigious ceramic fair of Tecnargilla. The mentioned event is the world’s most important exhibition in terms of ceramics and brick supplies dedicated to technologies for ceramic tiles, sanitaryware and tableware held every two years in the city of Rimini (Italy). This fair gathers the main companies of the Machinery and Raw Materials Area within the global tile sector. In this edition, we reconfirm that Tecnargilla is the most popular exhibition in terms of international operator visitors. In the last edition there were more than 600 exhibitors coming from 30 different countries and nearly 20.000 foreign buyers from 35.000 visitors. On our part, we had the pleasure of receiving a good number of visitors from many different countries such as Turkey, Russia, Germany, Brazil, Morocco, Egypt, Thailand, China, India, Japan or Poland among others. In addition, we have also reaffirmed our leading position in terms of grinding media based of alumina due to our high level of specialization/innovation in every single product. That is why, without neglecting our “core business” (with the supply of our always prestigious alumina spheres destined to ceramic milling), we also have showed to the audience our great portfolio of products and their wide variety of applications (nanobeads for nano milling in high speed mills, chemical ball as support for catalysts, anti-wear pieces, microspheres, …). 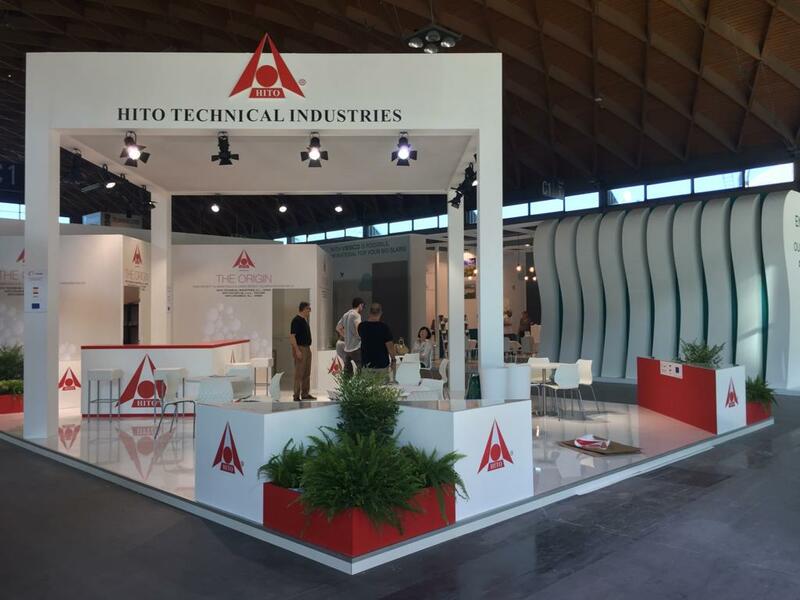 Finally, from Hito Technical Industries we would like to thank you so much to the great diversity of clients, collaborators, and visitors who decided to come to our stand and we hope to meet them again in upcoming editions. -Details and characteristics showed in this web, may be subject to alteration by the manufacturer without notice.  CERAMITEC 2018  CEVISAMA 2019 – HITO TECHNICAL INDUSTRIES, S.L.